It’s the race against sunset once again. I’m no professional photographer so the best I can do in this low light setting is to set my ISO and shutter speed to the best of my ability. I really hate taking photos whenever the sun is almost all the way down because my photos always turn out so grainy. This time though, I got lucky. I was able to find a spot that suited the low light setting. And the graininess actually contributed to the effect. Oh diba? Another pang-emote location! It doesn’t look like I’m in the city at all! 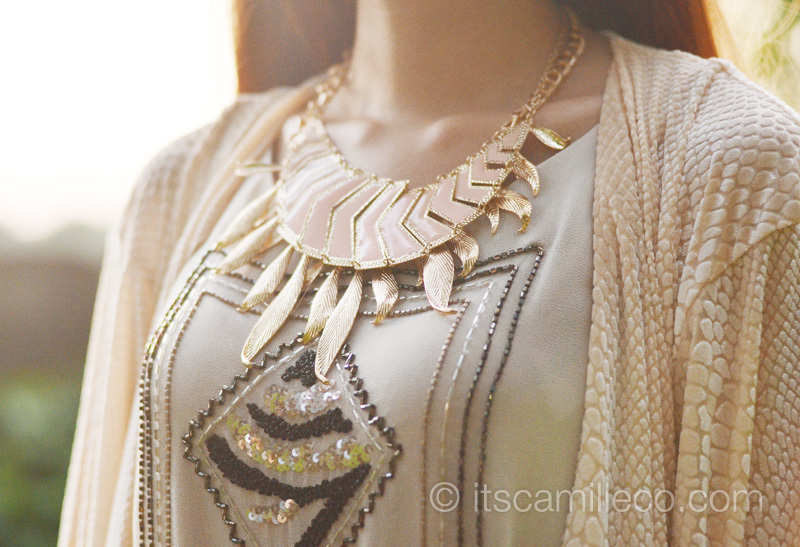 I felt like a hippie wondering some forest–a hippie in an embellished dress that is! Whenever I’m in an embellished dress, you usually see me all made up and ready to party. But since this is a shift dress, I wanted to take a different approach in styling it. Shift dresses are just so comfortable, it would be a pity to take away its day wear appeal. Yes, I’m aware this particular shift dress is embellished with sequins and beads but who said you can’t wear sequined numbers during the day? It’s all in the way you style them. 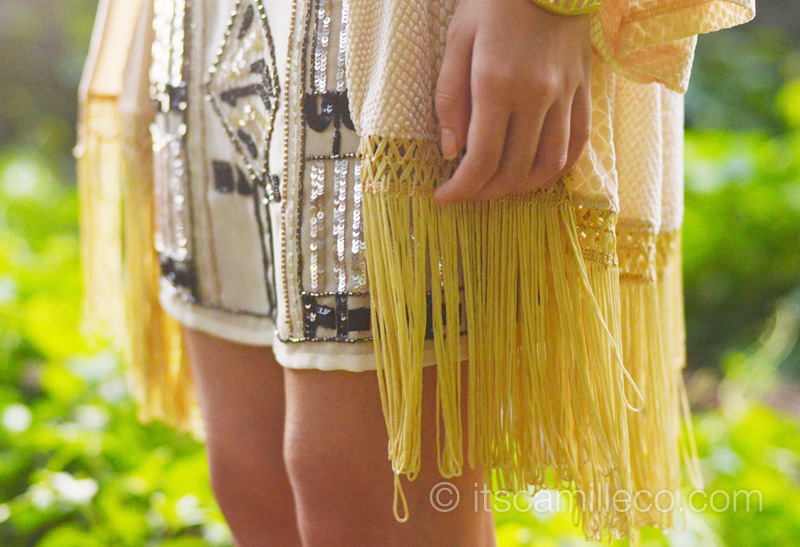 Just be wary of the color palette and try to tone down the beadwork by throwing on a few other things like how I did with my fringed hem cardigan. Thank you! It’s one of my favorites as well! you look like a fairy wandering around.. And that dress! Is soo.. Perfect! Wala naman sana haha! Thanks Tricia! You look amazing! I love the colours in this look and you’re absolutely right — the grainy quality does add to the photos. Nice, emote kung emote, ;-) you’re so lovely Miss Cams. Hi Camille! You look very Innocent and Tame in this post. I know its too late to say but they say its better to be late than never just want to congratulate you from your TV exposure on Kris TV, I didn’t expect your voice is very maliit and cute! More Powers! Yes better late than never! :) But I AM innocent AND tame haha! :) See! My tiny voice proves it! Haha! 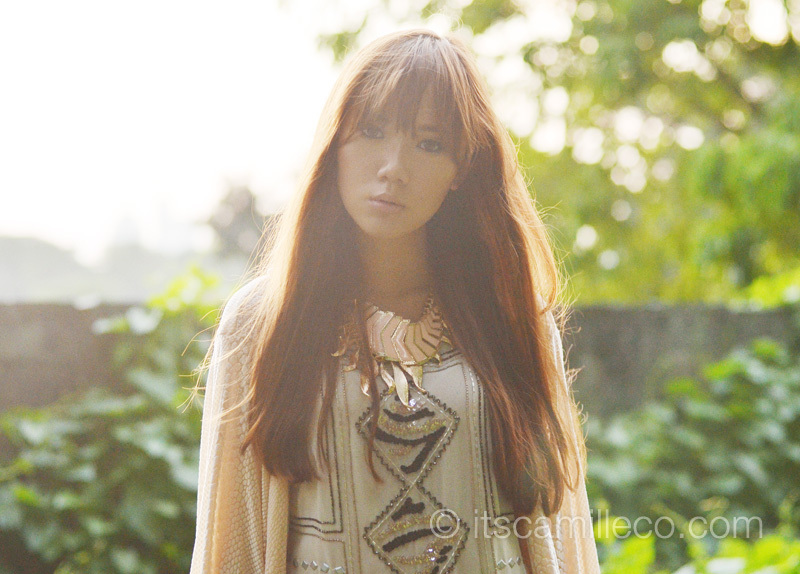 Gorgeous outfit… love the hippie/bohemian style. anong available colors po? and how much po ang shipping fee to Naga City po? Parang photographer ka na! I absolutely love the photos. Bonggang bongga! Ikaw lang ang hippie na elegante. Yay! Frustrated photographer haha! :) Thank you Mars! Mapagpanggap na hippie lang kasi haha! 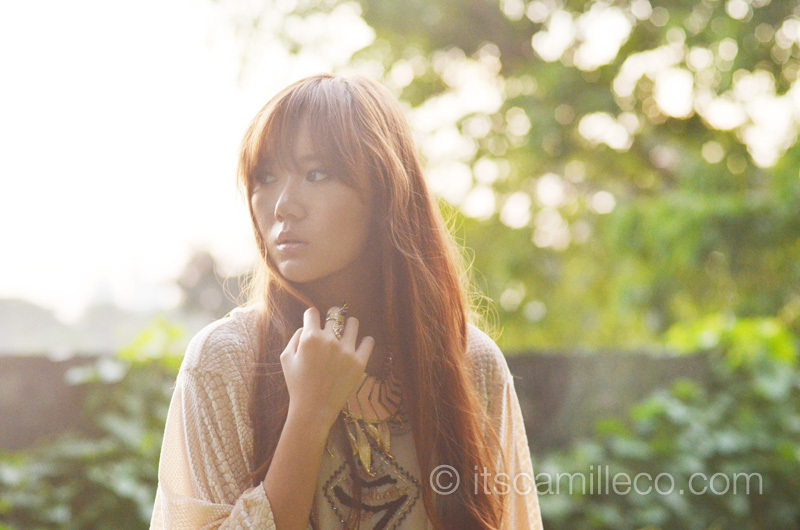 Hi Camille, may I ask what lens are you using with your D7000? Thanks! I love this outfi !! so gorgeous! the entire look is perfect! Haha more is more! I covet your dress! Miss Cams, why so puh-retty? Anyway, I need your advice. I bought some crop tops from F21. I wanted sana na either kita yung belly button or below my jeans na yung length and medyo loose but then I ended up getting the wrong sizes. The crop tops fit me kaso parang 0.75 inch above the jeans kapag naka-low cut ako then medyo fit na loose (aaaah, if you know what I mean). What should I wear with those? Thanks! I’m glad you think so! :) Thanks Kristine! It is super comfy! Thanks Trisha! Yes! :) thanks Charmaine! :) Mura lang naman ang entrance sa Bloggers United! The first photo is a total win! You should attend a crash course in photography so that you can use your camera to its fullest potential. LOVE THIS LOOK though! Pwede ng pang-movie poster yung 4th photo! at may working title na ako: “Ang babaeng lagalag” in English, “The Wandering Girl” chos! haha! Thanks Sephie! I know how you feel! ang pretty mo talaga! i lurve your look!